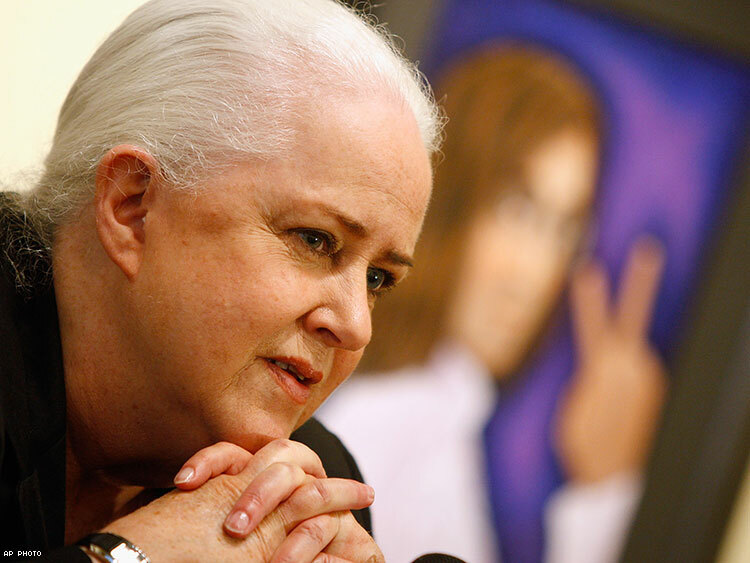 Grace Slick is using profits from Chick-fil-A to generate money for the LGBT organization. Singer-songwriter Grace Slick, lead vocalist for for the iconic 1960s band Jefferson Airplane and its successor, Jefferson Starship, licensed Starship's 1987 hit "Nothing's Gonna Stop Us Now" for the anti-LGBT company Chick-fil-A to use in a commercial — but she plans to donate all the proceeds from the commercial to Lambda Legal. "I am donating every dime that I make from that ad to Lambda Legal, the largest national legal organization working to advance the civil rights of LGBTQ people, and everyone living with HIV," Slick wrote in a commentary published today on Forbes magazine's website. She said that instead of allowing someone else to profit from the commercial, she saw this as an opportunity to make money for pro-LGBT organizations. "I decided to spend the cash in direct opposition to 'Check'-fil-A’s causes — and to make a public example of them, too. We’re going to take some of their money, and pay it back," she wrote. The commercial aired during the Grammys February 12. Slick cited Chick-fil-A's anti-LGBT history as inspiration for her act. Chick-fil-A executives have expressed opposition to marriage equality, and the company's charitable foundation has donated to anti-LGBT organizations. In the past few years, that led to boycotts of the fast-food chain by LGBT rights supporters, while conservative politician Mike Huckabee organized a Chick-fil-A Appreciation Day in 2012. Slick said she hopes other artists follow her lead. "We need that kind of artistic integrity today, more than ever," she wrote. "From the moment I agreed to license the song, I knew I wanted to set an example for other artists," she wrote. "I wanted to tell them, 'Your art will survive and thrive. Do not let it be used by companies who support intolerance. Don’t be afraid to take a stand. You’re an artist; that’s what we do.'"